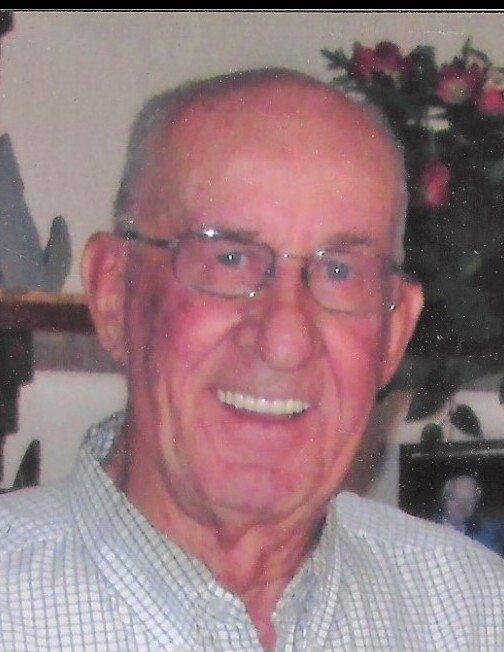 Frank R. Gritzer, age 89 of Conneaut, died Monday, October 1, 2018 at the Ashtabula County Nursing Home surrounded by his family. Frank was born on April 28, 1929 in Latrobe, PA, the son of Frank and Mary (Gumbita) Gritzer. He was a graduate of Latrobe High School and went on to work in the “Car shop” for the Railroad in Latrobe. Frank worked for the U.S. Steel Company and sailed the Great Lakes for over 33 years. Frank served as Engineer 1st Assistant on the “Phillip Clark”, the “Roger Blough” and for many years the “Homer D Williams,” until his retirement in 1987. Frank was known to many as “Mr. G.”, from working for Marshalls Auto Parts store with Skeeter, chasing down parts. Frank worked for the Raisian Family Funeral Home for many years driving vehicles, opening doors and assisting with funerals. He also took care of St. Joseph Cemetery in Conneaut for many years, as the groundskeeper with his son Bill. He was a member of Corpus Christi Parish and attended mass at St. Mary Church. Frank was a member of the Conneaut Moose Lodge 472. He was featured on TV 35 Erie, Pa. for his ability to make art from tin cans, such as boats, cars and just about anything Frank could create. He was an avid Pittsburgh Steelers fan and enjoyed sitting on his back patio with his wife, watching traffic go by. Frank was very giving of his time and especially loved to help people. He enjoyed tinkering with mechanical things, his 1960 Panhead motorcycle and collecting all of the “101 Happy Meal Toy Collection”. Frank was preceded in death by his parents, son, William Gritzer in 2016, sisters Ann Gritzer, Mary Jane, Sally Steele, Elizabeth Gritzer, Helen Donnelly and brothers John, Michael, George and Joseph Gritzer. He is survived by his loving wife of 69 years Carolyn (Port) Gritzer of Conneaut, whom he married November 29, 1948, son Richard “Rick” and Julie Gritzer of Conneaut, daughters C. Jane and John Szalai of Monroe, Suzanne “Penny” Andrews of Orlando, FL, seven grandchildren, 11 great grandchildren, one great-great granddaughter and several nieces and nephews. Calling hours will be held Saturday, October 6, 2018 from 10:00 a.m. to 12:30 p.m. at the Raisian Family Funeral Home, 581 Harbor Street, Conneaut. Mass of the Christian Burial will be held on Saturday, October 6, 2018, 1:00 p.m. at St. Mary Church, 480 State Street, Conneaut with Father Philip Miller of Corpus Christi Parish officiating. Burial will follow at Greenlawn Memory Gardens, North Kingsville. Memorial contributions may be made to the Hospice of the Western Reserve or to the Ashtabula County Humane Society. Envelopes will be available at the funeral home.